Outdoor and Western hats are functional more than stylish but they provide with extra UV Sun Block against the damaging effects of the sun. Thus, you can wear these hats and stay longer under the sun. It is perfect for hiking and jogging. Rain or shine, your hat should always have your back. This is the case with UV Sun Block hats. They offer protection to the harshness of the sun’s rays and heat. UV Sun Block hats are not only great for protection to harsh conditions, but they are also fashionable. They can be worn alongside basically anything and do not suffer from being an eyesore. Whether plain, colorful, simple, or unique, there are hats that suit anyone’s fashion desires while also serving to keep them protected. Both men and women can find a UV Sun Block hat that they love due to the huge selection of different colors and styles. Never again will a person have to sacrifice personal style or protection from the sun, thanks to UV Sun Block Hats and the Flap, Neck Cover Hats. Although you can’t choose to stop the sun from shining, you can choose to look good and be safe under the sun. Hats provide sun protection but nothing can provide you with more sun protection than UV Sun Block Outdoor Hats. Get excellent sun protection with these UV Sun Block Outdoor Hats. Made specially to provide optimal protection against the heat and UV rays from the sun, you can stay longer outdoors with these hats. Choose from our collection of hats now. 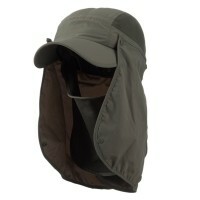 Another type of hat that works similarly as UV Sun Block Outdoor Hats are Safari and Gambler Hats. Choose these hats if you are looking for sun protection not only for your face but also your neck, ears, and practically all parts of your face. 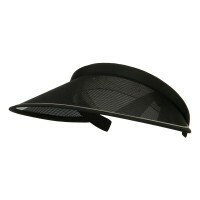 These hats, while providing extra coverage of your face, are lightweight and comfortable. They allow air to circulate through your head so you remain cool despite wearing them. But if it is stylish hats that can still provide you with ample sun protection is what you need, then Outdoor, Western Hats are for you. Made from different materials from straw to leather, you will be able to find the right Cowboy Hat that will fit your needs.